Relaxation can be achieved in a variety of forms. 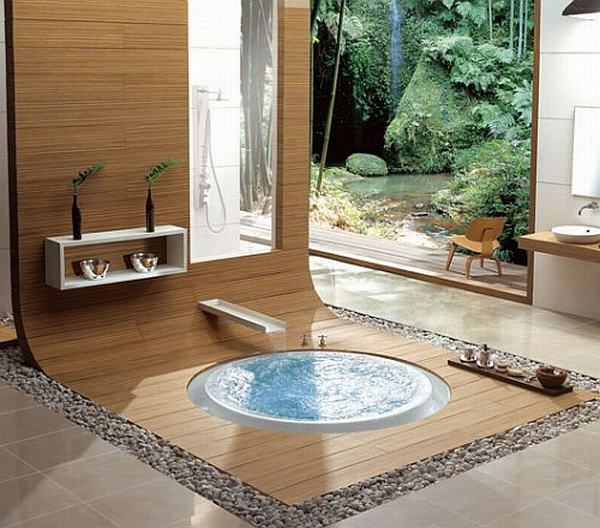 For today we put together a collection of 30 amazing bathroom designs that are meant to release pressure. Whether it is the shape of the bathtub that makes a difference, the inspiring decorative objects or the view that can be admired, these bathrooms all have something in common with relaxation. Some interiors are rich in green arrangements, which add freshness and invigorate the place. We also tried to find a few bathroom designs that have a special color theme. We noticed that wood has a great effect in modern decors- take the first picture for example- as it adds authenticity and personality. Windows are also of major importance, as they have a huge influence on the aesthetics and atmosphere of a room. Diagonal windows add a dramatic touch and are welcomed in case there is an inclined wall near by. Most of the bathrooms in the pictures below are modern, but you will also notice a few classic elements that combine perfectly with the contemporary arrangements. 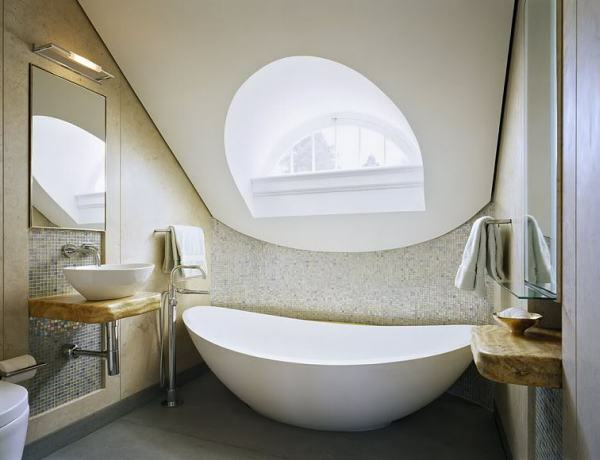 Have a look and tell us what you think about this collection of bathroom designs. To visit the entire Bathroom Design Idea gallery from Freshome, click here. Take your time as each image has a lot to offer.